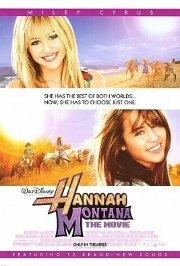 Her success as superstar Hannah Montana is starting to take over her life as Miley Cyrus. Dad thinks she needs reminding of her roots, so instead of jetting off to New York, he takes her back to their small country town for a two-week rehab break. Initially she is shocked, but once she meets an old friend, now a charming young man, she starts to rediscover her roots. Meanwhile dad also finds romance, as the tug-of-war between Hannah and Miley comes to a head.